THE ONLY THING WE DO IS HELP PARENTS… with kids on the autism spectrum. Welcome to Thrive In Chaos. 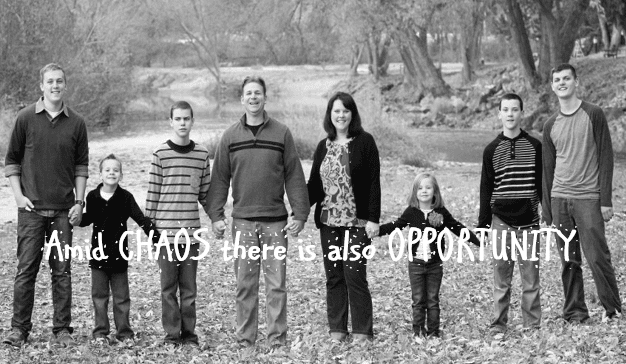 We teach parents and family’s how to “thrive in chaos” AS they raise their kids on the autism spectrum. We’re coaches, we’re confidants, we’re parents of kids on the spectrum. We understand because we LIVE it every day – just like you. CLICK HERE to watch a free webinar called, “How Autism parents are lowering stress and creating happier families in as little as as 7 days – even if nothing else has worked.” And, claim your free Autism Parents Guide. Over the past decade, we’ve become the go-to family – for parents with kids on the autism spectrum – who are wanting to lower stress and restore a sense of normalcy in to their homes. Essentially we teach families how to “thrive in chaos” as they raise their kids on the spectrum. We specialize in two things: RESULTS and CHANGING FAMILIES LIVES for the better. RESULTS, meaning families that work with us learn proven strategies and techniques that lower stress. The families we’ve worked with – their results speak for themselves. CHANGING FAMILIES LIVES for the better, meaning you’ll learn that you don’t have to live on an “autism roller coaster” any longer. In fact, we’ve helped hundreds of families get back the family life they wanted. A life filled with joy, happiness and fun. We are accepting new families for some of our services now, and are wait-listing families in others; click here to watch a free webinar called, “How Autism parents are lowering stress and creating happier families in as little as as 7 days – even if nothing else has worked.” And, claim your free Autism Parents Guide. Note: You must qualify to be a part of our group and reviewing the guide is a great way to ensure you can qualify. Families we’ve had success with include big families with multiple kids on the spectrum with different diagnosis (like ours) to single parent (smaller) families and all kinds in between. Our program flat-out works no matter what the spectrum diagnosis. From one end of the spectrum to the other. IF you’re UNAFRAID TO WORK AT IT. Take a few minutes to browse our site. We have plenty of free resources to indoctrinate you with the “thrive in chaos” philosophy. We look forward to helping you create a family of overwhelming happiness and joy.